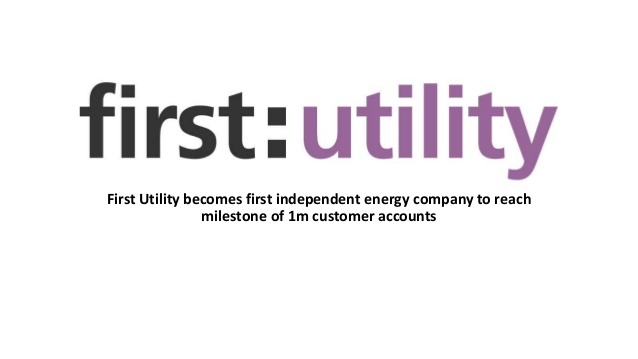 First Utility is the UK’s leading smart meter energy supplier, an energy company with a difference. It helps you to understand and manage your energy consumption, lower your carbon footprint and ensure you are accurately billed. First Utility is an energy company which aims at saving your energy and saving you money. The company has an online application which helps to identify how you can save on energy and costs. The company is committed to state of the art technology; as your business energy supplier its state of the art smart meters enable you to monitor your business electricity usage. First Utility has an experienced account handling team who can provide you with full details of its products and their benefits. The company prides itself on its competitive prices; it continuously monitors its business electricity prices in order that it can compete with the main energy dealers. With regard to billing, First Utility offers its customers a straightforward view of accounts, complete with meter readings as well as any individual charges based on actual usage.